You may have seen we recently welcomed our second baby girl and today I'm finally going to be finally sharing her birth story with you. It was another planned induction, but this time due to a number of reduced movements. My first birth was very straightforward and I naively expected a similar experience this time around, however nothing ever turns out the way you think and it couldn't have been more different to how I imagined. 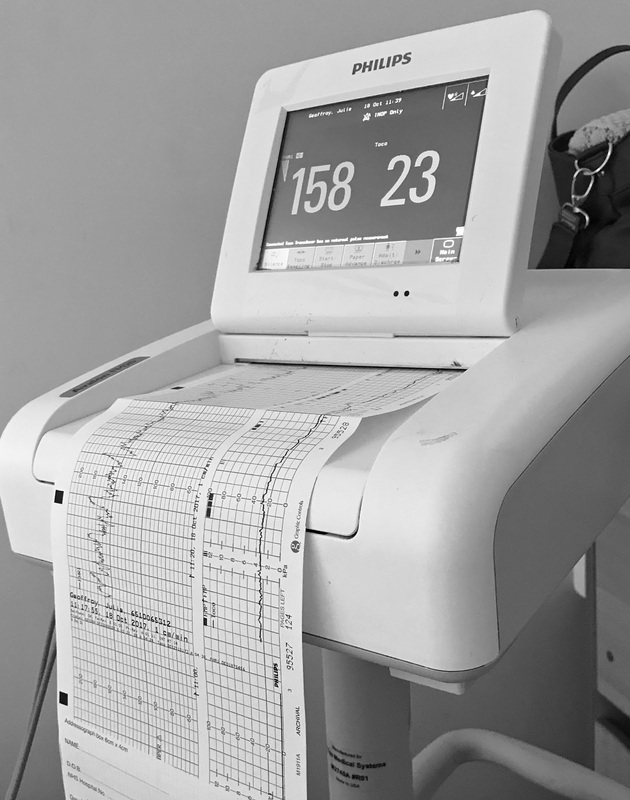 In short: my induction eventually turned into an emergency c-section after failure to progress. 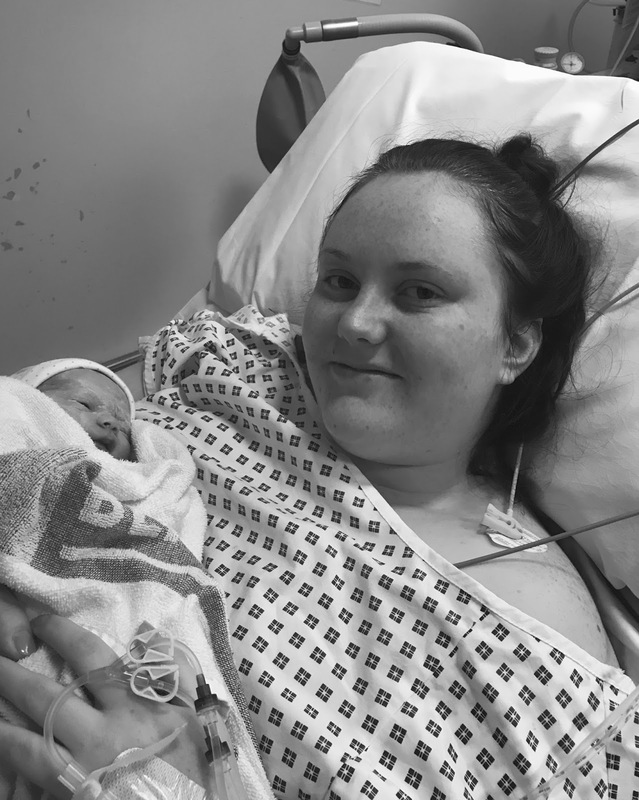 I then had a severe post-partum haemorrhage where I needed more surgery under general anaesthetic and a blood transfusion, followed by a stay in the High Dependency Unit (HDU). So it ended up being very traumatic and a much longer hospital stay than we anticipated. We were booked in for induction due to lots of reduced movements, where I was 38 weeks and 1 day pregnant. We were told to be at the hospital for 8am on Wednesday 18th October. We arrived just before 8am and after a short wait, we were soon shown to a room on the ward with three other people there and were kindly told to help ourselves to breakfast. I was placed on the monitor to check on the baby at 9.45am for around 45 minutes and we then went for a little walk to get a coffee, hot chocolate and snacks. My first induction they used a pessary, however they don't use that method at that hospital anymore apparently. Instead, the first lot of gel was done at 11.15am and then I was put back on the monitor for 20 minutes. I was then told to stay active, so we went for a walk and I bounced on the birthing ball for a while. By 12pm I was feeling very uncomfortable, so I had lunch and then took a little nap while we waited and hoped something would happen. Throughout the afternoon, we continued to take short walks around the hospital and I bounced on the ball in the hope it would get things moving. At 4.45pm I was placed back on the monitor and waited for my second lot of gel. This was done just after 7pm and thankfully my cervix had started to open - which sounded promising. I was put back on the monitor once again for around 20 minutes. After waiting around all day, Toby and I agreed it was best he went home and got some sleep, as I knew nothing was happening in the meantime. They kept me on the monitor a little bit longer, as there were a few dips in baby's heart rate and they wanted to make sure she was okay. I also started to get tightenings at this point - but genuinely didn't think much of them. Around 8.30pm I went for a walk and then was sick - I wasn't sure if it was just my usual sickness though or a side effect from the gel. An hour later at 9.30pm, I bounced on my ball for a while and at 10pm I had more observations done. By this point the tightenings were a bit stronger and more frequent, but I decided to try and get some sleep at 10.20pm just in case things started to happen. Although I woke up at 11.45pm because of the tightenings, which then kept me awake for ages. At 12.55am, I was on the monitor again to check baby was still okay. The tightenings were very regular, so I decided to time them on my phone. They were coming every 3 minutes, which I thought was a good sign. At 1.30am, I was sick again and the midwife told me to try and rest/get some sleep and the doctor would re-examine me in a bit. I waited a while and it was 5.30am until I was seen again and was placed on the monitor. The tightenings had faded off by then, which was rather disappointing. I was examined an hour later at 6.30am. I was only 2cm dilated and once again was placed on the monitor after my third lot of gel. I had some breakfast at 8.35am and then had a nap, as I hadn't really slept very well in the night. Once I woke up, I decided to have a quick shower and around 11.30am, I went for another walk and had a bounce on my ball. At 12.30pm, we were told I could go up to the delivery suite so they could break my waters, but we had to wait for a bed to become available. At 3pm, we were still waiting, so decided to go for another quick walk around the hospital. We didn't go too far just in case they came to get me to take me upstairs. At 6.15pm, nothing was happening and I was still waiting for a bed on the delivery suite. I was getting very fed up now. I really thought things would have started to progress already, but that wasn't the case. At 9.45pm, I was told I would hopefully go up before 12am - so we agreed Toby would go home and get some sleep, as I knew nothing would happen in between then and I would ring him when it was time. Finally, at 12.30am a bed became available and I was taken upstairs to the delivery suite, where they could break my waters. I rang Toby and told him to meet me up there. I thought we may as well get things going, so instead of waiting half an hour for him to arrive, I agreed for the midwife to break my waters. It wasn't painful or anything, just a bit uncomfortable. Although there wasn't much at all, just a trickle - I was expecting a huge gush like you see in the films! Fast forward around 30 minutes and Toby arrived. The midwife said she would give me four hours to start contracting or I would have to go on the hormone drip, which I didn't particularly want. So I tried to stay active by bouncing on the ball, but I was so tired by this point, all I wanted to do was sleep. I decided to get some rest, as I thought I would need my energy for labour. At 4.45am, nothing was happening at all so the midwife said she was going to put a cannula in. After a failed attempt (and some tears - it was so painful! ), she got an anaesthetist to come and do it. The drip was started at 5.20am and we just waited for things to get going. An hour later and still nothing was happening and I started to feel disheartened, as I just wanted to feel something! Thankfully, around forty minutes later, the monitor was picking up tightenings. The midwives had changed shifts around then and she decided to put a clip on baby's head. On examination, I was still only 2cm dilated. By 11.30am, I was finally getting regular contractions which I was timing on my phone and I was getting around 4 contractions in 10 minutes. They were hoping I would be at least 5cm dilated on my next examination and I was feeling positive that things were progressing well. So you can imagine how annoyed I was when I was examined just after 1pm and I was only 3cm dilated. The doctor came in to speak to me at this point and that was the first time a c-section was mentioned and I was told was likely to happen as things weren't progressing as they should, especially as I had been on the highest dose of the hormone drip for 8 hours now. I have to say at this point, anyone that is close to me knows how terrified I was about the thought of having a c-section, but it didn't even cross my mind that it would be a possibility. I was so nervous and scared already. I was expecting a similar, if not quicker birth than first time around but it wasn't the case. They said they would give me another four hours to labour or it would definitely be a c-section. However I thought that was a long time to wait, not knowing if I would be any further along. We decided to give it another two hours, which would have been enough time for my body to do what it's supposed to (as it had done it before).The doctor also said that the baby's head was still really high up, but she could still feel waters (it turns out they hadn't all broken or something). So my waters were broken again and they definitely went that time! I was pretty excited when contractions started back up fifteen minutes later, at 3.30pm. I was having really strong contractions for the next couple of hours, I really thought things were finally happening and it wouldn't be long now. I had to really focus on my breathing and I used gas and air to help with the pain. Fast forward two hours and the doctor came to examine me again. I was still only 3cm dilated, so it was confirmed right there and then I would definitely be having a c-section. I burst into tears, I was absolutely terrified. It was literally my worst nightmare coming true, but I knew there was no other option. Not long after, I met the anaesthetist and a couple of other doctors and I was gowned up for theatre. They read the consent form and I signed it and I was then wheeled off to theatre at 5.40pm. There were quite a lot of people in theatre, but everyone was lovely. They all introduced themselves and tried to reassure me it would be okay. Although, I remember sitting on the operating table crying. I was so frightened. I even contemplated being put to sleep for the operation, but I knew I would regret not being awake for Amelia's birth. Before we knew it, at 6.14pm, our beautiful baby girl entered the world. I was so relieved to hear her cry and know she was safe. They checked her over and then brought her over to me for skin to skin - which was just amazing. My first thoughts were how tiny she was. I just couldn't stop staring at her. I was stitched back up and we waited in a recovery room for a short while, then taken back to my room on the delivery suite. We then messaged family and friends the news of Amelia's safe arrival and Toby got her dressed and started her first feed. The midwives changed shifts again too, around 7pm. The doctor who delivered Amelia said they couldn't find a reason why she was still so high up (and wouldn't move down, for a natural birth). At least we knew there was nothing wrong and it was just one of those things. During the operation, I lost 750ml of blood, however they weren't concerned as anything under a litre during a c-section is normal. After arriving back on the delivery suite, the new midwife looking after me, Rebecca (who was absolutely lovely), noticed I was still bleeding. They were keeping a close on me and were changing the pads underneath me regularly, however the bleeding wasn't showing any signs of stopping. It was around then, that we met the sister midwife, Lynne, who was nothing short of amazing. The doctor, Katie (who I must add, was also brilliant), used two different methods to try to stop it, but they both failed. 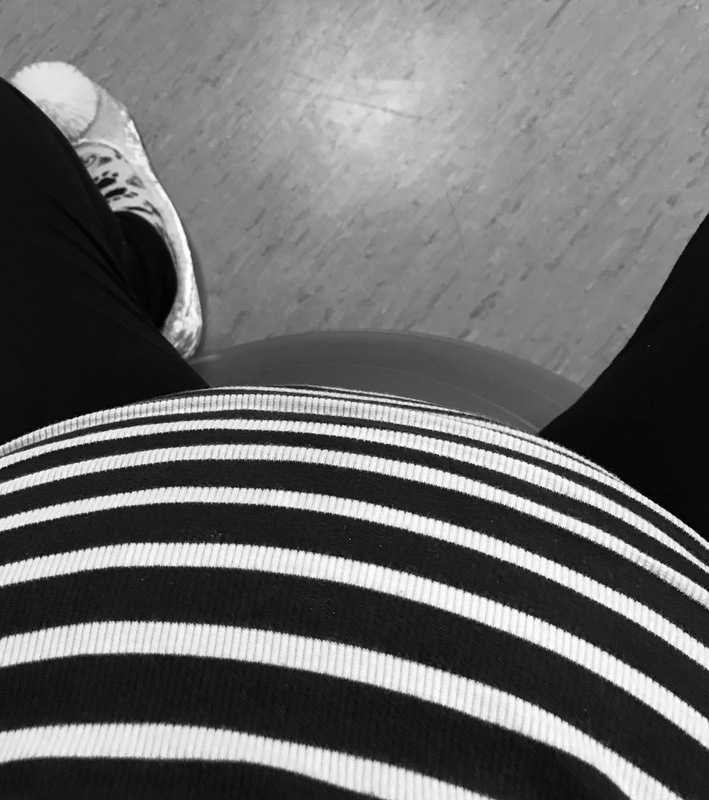 She was pushing/massaging my stomach trying to get my blood to clot (not the most comfortable thing, when you've just had a c-section), while I was puffing hard on the gas and air - which made me so high, I thankfully at times, didn't really have a clue what was going on. It was decided, the only other option was to go back into theatre and have another operation, however this time would have to be under general anaesthetic. They said they would have to insert what they call a 'balloon', which fills with water and compresses the blood vessels to stop the bleeding. So they read the risks to me and I had to sign another consent form. I didn't expect them to say there was a chance of a hysterectomy (removal of the womb) if they couldn't stop the bleeding and I got very emotional. 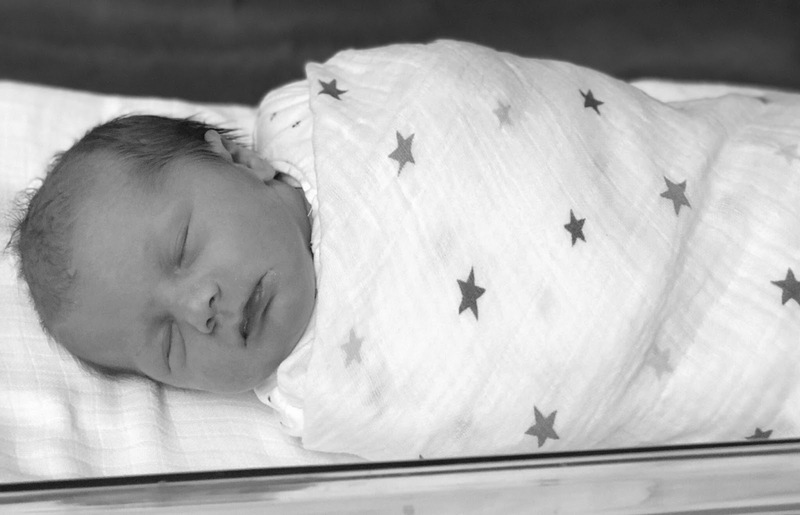 I looked over at my newborn daughter, not knowing if she would ever be my last baby. They tried to reassure me and said it wasn't very common and it only happens to every 1 in 1000 women. But once again, I was terrified. Especially as I had to go on my own, while Toby looked after Amelia. We quickly said goodbye to each other, as we thought I would be back in just a couple of hours. Thankfully, the operation was a success and at 2.20am, I was taken to a recovery room not far from theatre - just in case anything was to happen shortly after (luckily - it didn't). I asked to see Toby and Amelia and was so pleased to see them both. 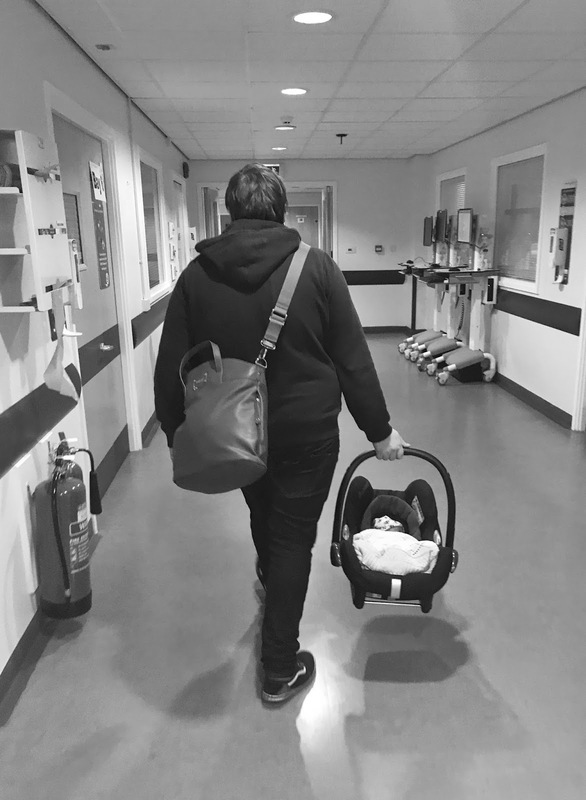 Although I was quite poorly and rather irritable, having just woken up from the anaesthetic and being in pain, I was too weak to hold Amelia for long. At 3am, I was taken to the High Dependency Unit and my Mum came shortly after and told Toby to go home and sleep. I believe Amelia was taken to NICU at this point, as there was no one else to look after her. I stayed in HDU for the day and moved into the IC room on the delivery suite later on that day. Sophie came in to see us and meet her new baby sister, however I was in and out of sleep, dosed up on morphine and in a lot of pain. I had missed her so much, but just couldn't give her the attention I wanted to. It hurt to even cuddle her, and that made me feel so guilty. I had imagined the day our girls would meet for the first time and how we would announce the birth to everyone, and this was certainly not it. I was then moved onto the ward, where I still relied on Toby, our families and midwives, to do everything. I had to watch everyone else look after Amelia. I couldn't feed her, or change her and I was too weak to even hold her for more than 5 minutes. When Toby or my Mum weren't there, Amelia was taken to Neonatal to be looked after. I felt absolutely useless and so guilty I couldn't look after either of my girls. I would spend my nights crying and having flashbacks at what had happened, as would Toby, who was also traumatised. I was also very offended and upset when a couple of the midwives thought I wasn't bonding with her too. I was tired, weak and in a lot of pain. As much as I wanted to look after my newborn, I physically couldn't. I was adamant I wanted to go home, so day-by-day I built up my strength. I gradually could get out of bed without assistance, walk to the toilet and most importantly help take care of my baby. So on Wednesday 25th October, they said we could finally go home! Oh hun. Bless you <3 You are so brave and so strong. 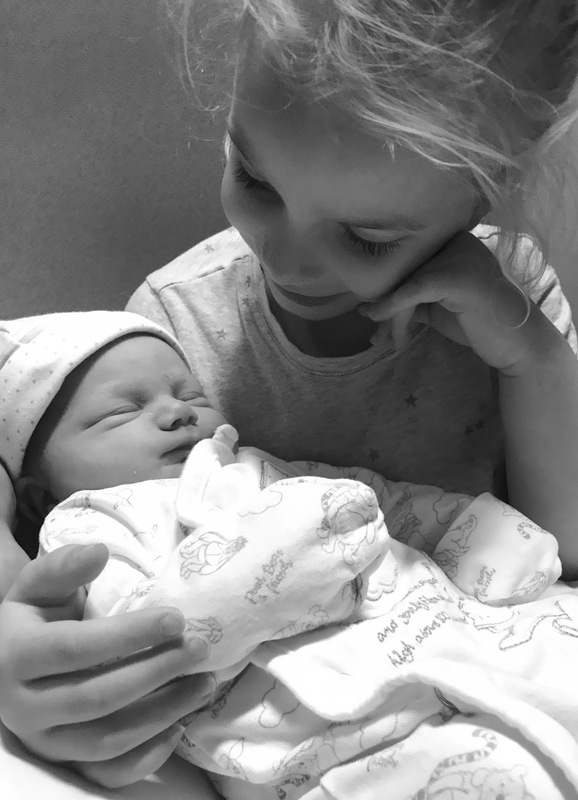 And can I just say how amazing you look in those photos <3 You've done so well and Amelia is absolutely beautiful just like her Mama and Big Sister! 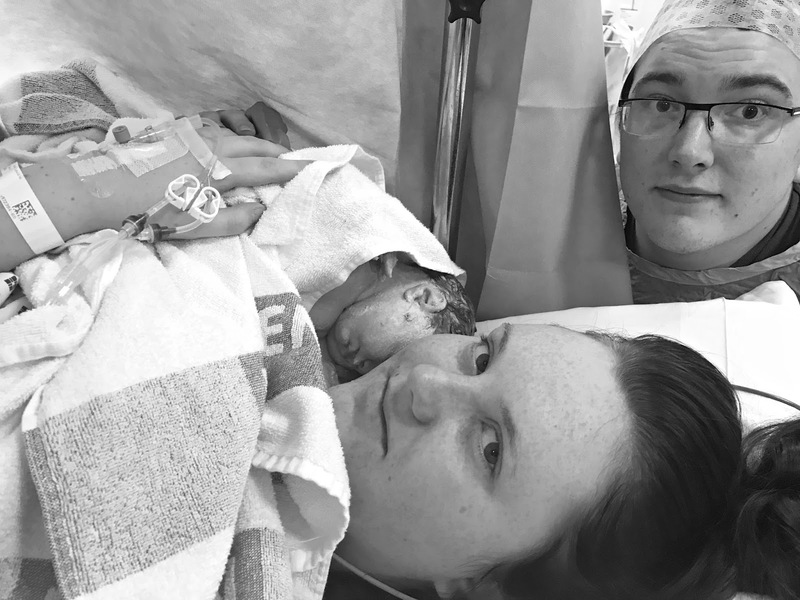 Oh wow, this is quite the birth story! Such a long process that can be very stressful. All is well in the end, though. Oh wow what an ordeal. So happy to hear you are all okay, safe and healthy. Oh wow, I’m so sorry you had such a traumatic time. You’ve handled it like an absolute trooper. I can’t believe the midwives said you weren’t bonding - that’s disgraceful! WOW....thanks for sharing and what a lovely post to read back on especially as it's in so much detail! Glad hear you guys are ok.